Whether you have a specific task in mind or simply want to ask a few questions, feel free to contact us at any time. 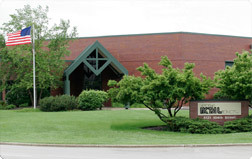 Kenosha Metal Products, Inc. is located just north of the Illinois/Wisconsin border in Pleasant Prairie, Wisconsin. From I-94 take Exit 347 (Hwy 165). Follow Hwy 165 East until it turns into 104th Street. Kenosha Metal is on the Southeast corner of 104th Street and 82nd Avenue. If you'd like to see more, please click here to download our Corporate Sales Presentation. If you'd like to see a map, please click here to download a PDF file.